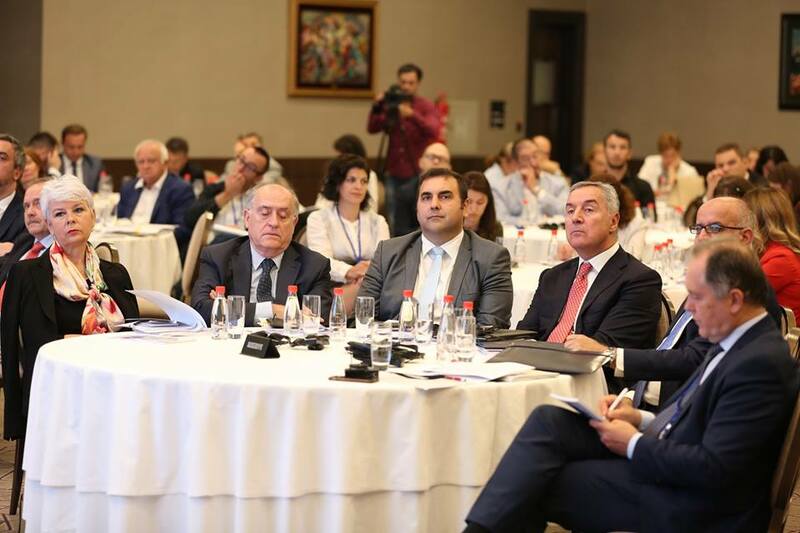 From 28 to 30 June, the Regional Convention on European Integration of the Western Balkans has been organized by the European Movement in Montenegro. The convention has brought together senior state officials and representatives of the civil society of the Western Balkan countries, including partner organizations from the Visegrad Group. 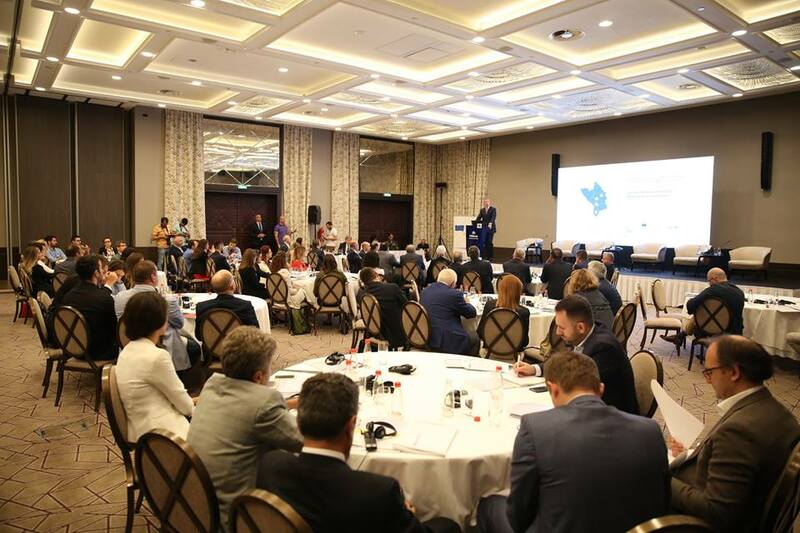 The convention was opened on June 29 by President Milo Djukanovic, and shortly afterwards the guests were also addressed by Kristian Posza, Ambassador of Hungary to Montenegro, in front of the Visegrad Group, as well as the President of the European Movement in Montenegro, Momcilo Radulovic. In his speech, Montenegrin President Milo Djukanovic emphasized that nothing will turn away Montenegro from the path of EU integration, adding that "the one who slows down Montenegro will slow down and maybe stop the Europeanization of the Western Balkans." And who leaves the Western Balkans on a non-European track limits the stability, development and competitiveness of Europe as a whole. " During the first day, several panels were held where the experiences of Montenegro, Serbia, Bosnia and Herzegovina, Macedonia, Albania, and Kosovo on their way to EU membership were heard. What most panellists point out is regret over the situation in Albania and Macedonia since they have not yet begun the process of negotiations with the EU, as well as the awareness that the prosperity and stability of the Western Balkan countries depends on their progress towards full membership in the EU. Additionally, on the first day the presentation of the Voice of the Balkans initiative took place, therefore the studies on the integration of the countries of the Western Balkans, as well as the views of the civil sector representatives who focused on the underdeveloped administrative capacities needed for more efficient use of IPA funds, as well as the examination of political problems and the complexity of the political system. Croatia's Ex-Prime Minister Jadranka Kosor gave a special impetus to attendees, explaining that one should not give up on the way to the EU even when it is the most difficult, pointing out that Croatia is the best example for that, since it has experienced the longest and most difficult EU negotiations so far. Regarding the 2025 year, which is a forecast in the official EU strategy as the year of Western Balkan countries' integration into the EU, opinions are divided related to the possibility of implementation and the party that carries greater responsibility. In relation to this, European Union Ambassador to Montenegro, Aivo Orav said that whether the 2025th year will be a reality for the countries of the Western Balkans does not depend on the European Union, but on the individual countries and their willingness to implement the reforms, and that nobody can to expect from the EU to force someone to join it. The Western Balkans is a region that records numerous historical and political problems, but panellists - Chairpersons of the Chamber of Commerce, concluded that the solution for regional stability is in the economic cooperation of countries, as well as the cooperation between the chambers of commerce and civil society, which will result in the continuous fostering of the values of the European Union. During the second day of the convention, concluding claims were raised about the problems and improvements in the EU integration process, the role that the Visegrad 4 has in the process of EU integration of the countries of the Western Balkans. The representatives of the Visegrad 4 have agreed on the necessity of further efforts in order to provide political, economic and institutional support to the countries of the Western Balkans on the way to the EU and pointed out that the word is not about an alternative to the European Union, but an organization that supports the process of EU integration and the EU enlargement in the Western Balkan. Among the participants of the second day of the conference was Igor Lukšić, former Prime Minister of Montenegro. Lukšić emphasized, among other things, that he sympathizes with postponing the start of the negotiations for Macedonia and Albania, and that although the context is disliked by many, we must accept it as reality. The representative of the Croatian Parliament, Vesna Pusić addressed to participants with the following message: "We contribute to the stability of the European Union more than that size and economic strength justify. Cooperation and stabilization of the Western Balkans makes it easier for us to contribute to the stability of Europe. 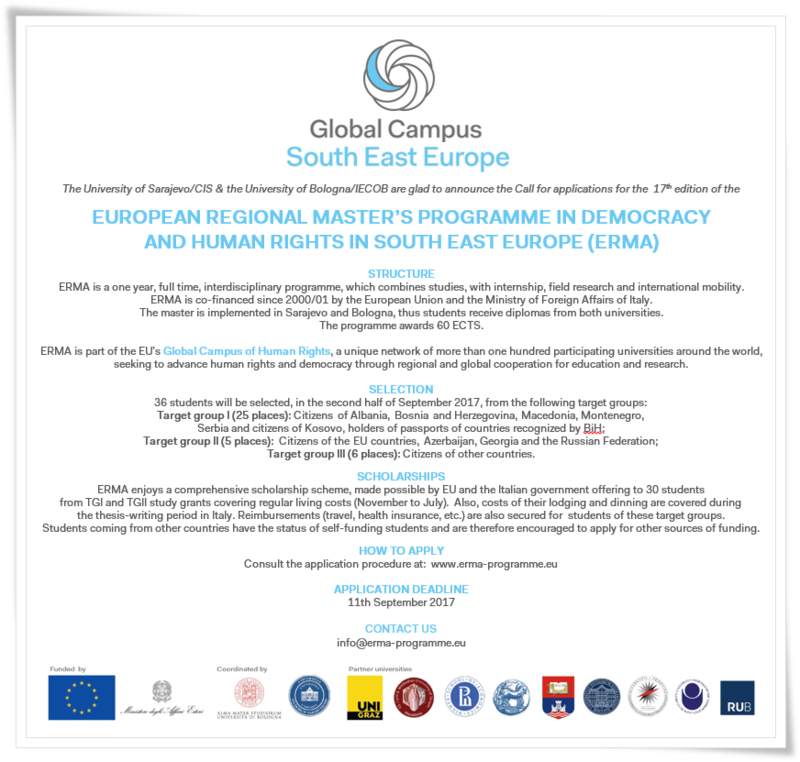 Further cooperation was agreed on the promotion of European integration of the region, cooperation between civil societies and the governments of the region, as well as cooperation between civil society entities and public institutions of the countries of the Western Balkans and the countries of the Visegrad Group. This year's regional convention confirmed the inevitability of EU integration as the key to economic and political consolidation of the region. What remains to each of the countries is to improve cooperation between the authorities and the civil sector, greater determination on the EU path and hope for the implementation of the 2025 strategy. Instead of celebrating freedom and right of all citizens to enjoy the achievements of European unification, today we must defend basic life and social values. European Movement strongly condemns brutal and cowardly attack on the journalist OliveraLakic. We demand from the police and the prosecutor's office to urgently conduct a full investigation, detection and the most severe punishment of the perpetrators of this serious criminal act. We also invite the Ministry of the Interior Affairs and the National Security Agency to urgently carry out security surveys for other journalists and editors who may potentially be targets of these or similar attacks, thus to provide them with full protection at work and in life. We all have the right to be dissatisfied with reporting done by media and journalists, but no one has the right to jeopardize their freedom and rights to work and opinion, and especially no one has the right to jeopardize the physical integrity and life of journalists. Such attacks are not only an attack on journalists, but also on the safety and free life of all citizens of Montenegro. Authorities and ruling structures have the greatest responsibility to protect journalists from such oppressions, because the attack on OliveraLakic is an attack on freedom of speech in Montenegro in general. The right of journalists to work freely and to report in accordance with objective, but also subjective professional and personal standards and beliefs, as long as this reporting gets around within legal frameworks, is one of the basic values which Montenegro should and must share with all contemporary European societies. We are inviting all political entities, both those who are ruling and those from opposition parties, to condemn this crime and savagery through their statements, and to support the free work of all media and journalists, as well as, with their authority, to defend their right on free reporting, regardless of differences in political perceptions, values, or attitudes toward editorial policies. The President of the European Movement in Montenegro today is participating at the 6th Civil Society Forum of the Western Balkans, held in Sarajevo and organized by the European Economic and Social Committee. This forum has been organized every two years since 2006. Mr.Radulovic spoke on topic "Freedom of expression and media in WB" and contributed to the creation of the Joint Declaration on Media in WB. EMIM at the Conference "The False News, Propaganda and Geopolitics"
The President of the European Movement in Montenegro, Mr. Momcilo Radulovic, today speaks at a conference in Sofia on the topic: Anti-EU / NATO propaganda, the EU perception in the Western Balkans. The False News, Propaganda and Geopolitics Conference is held on June 27, 2017 in Sofia (Bulgaria), organized by the Konrad Adenauer Foundation, the Sofia Security Forum and the Foundation for Democratic Media. Mr. Radulovic spoke at the panel on the impact of disinformation on stability and security, that is, on the challenges to the EU and NATO and their future communications, and on how to respond to security concerns that affect them. Beside Mr. Radulovic, representatives of the media, NGOs and international institutions, such as NATO, spoke at the conference, who gave their opinion on this topic. The focus of the event was the following: presentation of media and geopolitics research, the influence of false news and the current situation in the media, the mechanisms for spreading disinformation and potential ways of combating them, the impact of such information on stability and security, as well as challenges for the EU and NATO in the future In terms of communication. 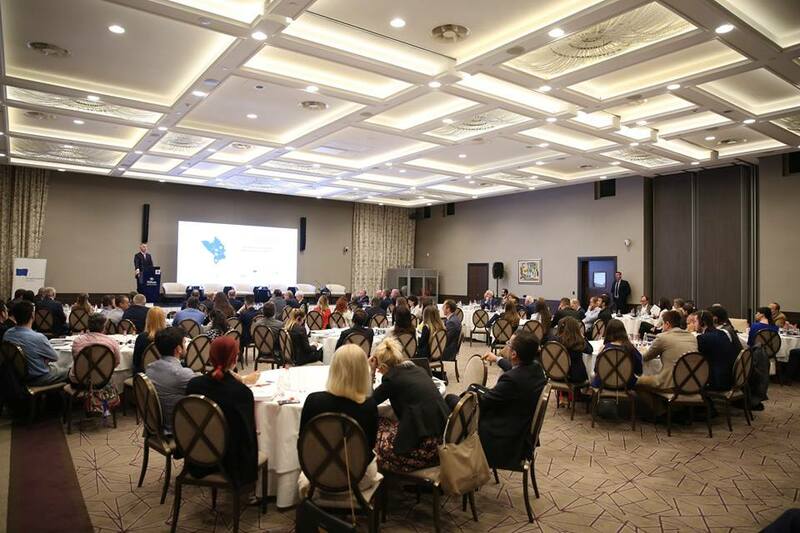 The annual Regional Convention on European Integration of the Western Balkans on the topic: „Capacities of the Public and Civil Sector fot the Absorption of the EU funds“ was held in hotel „Avala“ in Budva, Montenegro, organised by European Movement in Montenegro, from 25 to 27 November 2016. 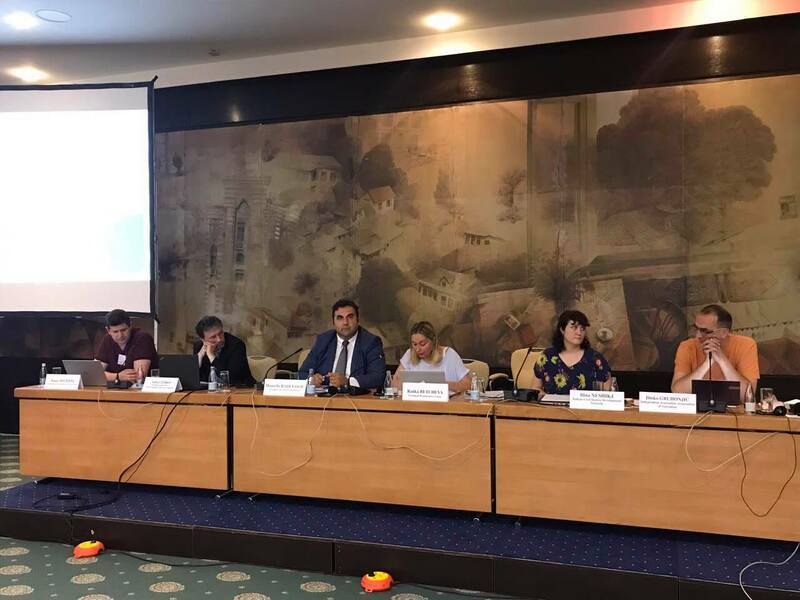 The conference „Capacities of the Public and Civil Sector fot the Absorption of the EU funds“ gathered high officials from Western Balkans countries, such as representatives of CSOs from mentioned countries and also representatives of partnership organisations from Visegrad group. Momcilo Radulovic, President of European Movement in Montenegro, on 25th November opened the conference. After that, during the first session was presented regional research about absorption of capacities of EU funds by state institutions. Research was presented by Mila Brnovic (European Movement in Montenegro), Ivana Lazarevic (European Movement in Serbia), Mona Xhexhaj (European Movement in Albania), Michal Vit (EUROPEUM Institut for Europan Policy, Czech Republic) and Mareike Meyn (German International Cooperation, Support to European Integration process in Kosovo). Moderator of this panel was Anna Orosz from Institute for Foreign Affairs and Trade, Budapest, Hungary. Presentation in Brussels of the Policy Brief "Influence of Women in the Parliament of Montenegro"
Buy your opinion, when will Montenegro enter the European Union?